We can print *'s in pyramid pattern using C programming language. We can also print patterns of numbers and alphabets using C program. 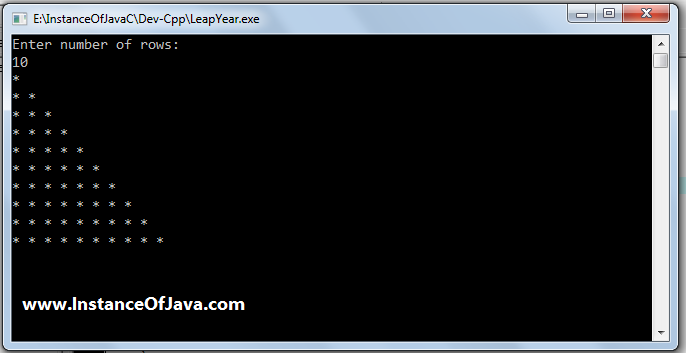 Now Check below program that how to print pyramid pattern of * using C program using for loop. Program #1 : Write a C program to print pyramid pattern of numbers using for loop. Program #2 : Write a C program to print pyramid pattern of numbers using for loop.